Ok, I was never a Black Metal fan. Quite the opposite, to be honest. I always hated both Black and Death Metal. Couldn’t hear any nuances, couldn’t hear any melodies and quite frankly, the image with corpse paint, fake blood and made up stage names that are supposed to sound evil and brutal, but in most cases just sounds ridiculous and childish, only felt lame. And let’s not forget the pictures / videos of evil men lurking in the woods with leather, chains and spikes – those always felt more poseur than any Poison in the world. So why write a review on a Black Metal record if I hate it so much, you might wonder. Well, see my ears opened a bit when I got this free CD from a magazine, Sweden Rock Magazine to be precise. Since the CD (a single) was free I decided that there was no reason at all for me not at least to give the single a chance, while doing my best to listen with an open mind. 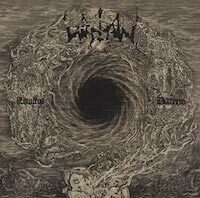 I liked what I heard and decided to give the band in question, Watain from Sweden, a go when they had released their new album – this one – and boy, was I in for a surprise. This was good – very good, in fact. When this reviewer was young, Black Metal equaled Venom and Mercyful Fate, which were in the early 80’s the hardest and meanest stuff you could find. Today, both band are just seen as Heavy Metal and both are actually very melodic. But, I remember thinking as a 15-year old, that – especially with Venom – that kind of music was unlistenable. I couldn’t hear one single melody. Today, I like Venom and Mercyful Fate is a band I have dug for ages now. Now, Venom seems to be an influence for Watain, just like Bathory are. Not that they sound anything alike, but you can hear the influence, at least in my mind. And that is a good thing because beneath the darkness, evil and brutality, Watain writes some really melodic and sometimes even catchy stuff. ”Malfeitor” is great and has a catchy hook and first single ”Reaping Death” is just brilliant and sometimes so catchy it’s almost sing alongish. Now, I need you to know that when I write “catchy” I don’t mean catchy as in radio friendly pop choruses, this is still brutal, dark and heavy black metal. ”Four Thrones” is a hard, fast and heavy metal track that actually grooves. And those riffs, then. Wow! To make the title track an instrumental is really a stroke of genius, it gives the CD a bit of diversity and the fact that you don’t actually miss the lead vocals just shows how good a song it is. Closer ”Waters Of Ain” is a nine minute huge, epic track that just reeks of evil. It’s a killer track and maybe the best song off the whole album. After listening to this album just once, I could do nothing but surrender. A great album that could actually be enjoyed by people who normally doesn’t like Black Metal, without being a sell out by any means. Because it’s raw, dark, evil, heavy, aggressive but both melodies and riffs are catchy enough. It must be stated that when I first heard of Watain, I didn’t think that they were for real. Pictures of the three guys covered in blood with evil looks made me think that Watain were just another bunch of black metal wannabe tough guys, but after getting more into them and giving them a break for real, I’m really sure of this: These guys are as honest and real as it gets and they surely mean business with everything they do. Oh, and the blood that covers them in pictures is real. Blood from pigs – and it’s rotten as well. That sure is going all in, in my book. Hail!